one’s happy and one’s new! 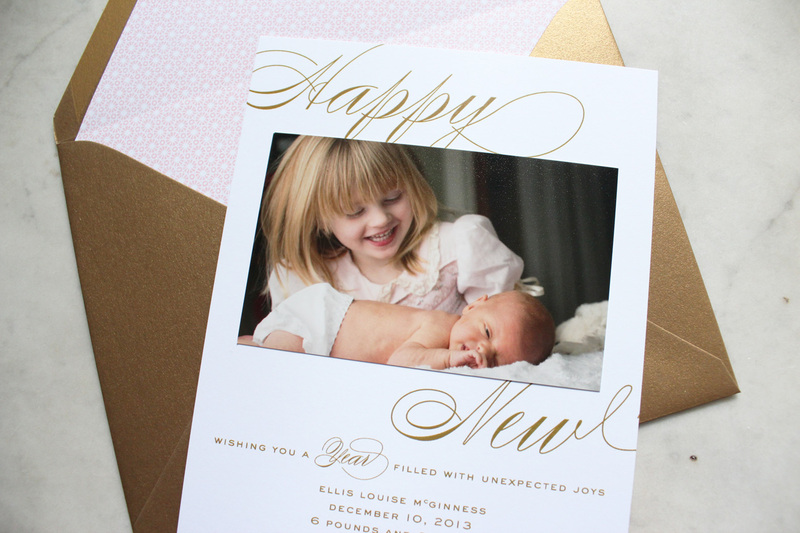 we love this happy new year birth announcement in gold and pink. available in foil stamp, letterpress or flat print (shown).